Macarthur Minerals has entered into a life-of-mine offtake agreement to provide iron ore from its Lake Giles project in the Yilgarn region of Western Australia to Glencore. 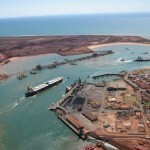 Rio Tinto has temporarily halted rail operations and mining at the Robe Valley project in the Pilbara in response to Cyclone Veronica. Deloitte’s latest mining trends share similar themes to the industry’s historic challenges that then become more complicated under the surface. Aeris Resources could acquire Glencore’s CSA copper mine in Cobar, New South Wales, for a combined value of $US625 million ($878 million). Bis-designed and constructed mining haul truck has come back with outstanding results after going through trials at Glencore’s Murrin Murrin nickel-cobalt mine in the north eastern Goldfields in Western Australia. Yancoal Australia has highlighted a continued energy industry demand for high efficiency thermal coal after posting record production and earnings for 2018. Australia’s largest coal company Glencore has taken the decision to maintain its coal output at current levels “to meet the growing needs of a lower carbon economy”. Glencore is supporting its status as one of Australia’s leading mining industry employers by boosting its number of apprentices in 2019. 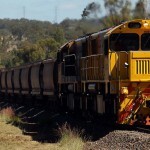 A flooded rail track that has significantly impacted mineral shipments from major miners such as Glencore could be repaired ahead of schedule, according to railway operator Queensland Rail. 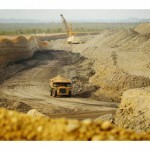 Production at Glencore’s Collinsville and Newlands coal mines in northern Queensland have been affected by heavy rain. Glencore Australia has overcome inclement weather and industrial action in the 2017 financial year to post a 7 per cent increase in annual coal production to 129.4 million tonnes for 2018. Mitsubishi Corporation has sold its two thermal coal assets in Queensland for $750 million in a deal involving Glencore. 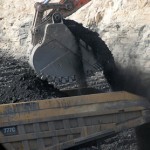 Whitehaven Coal has awarded mining services company Bis a contract extension to provide haulage services at its Tarrawonga and Rocglen coal mine in New South Wales. OceanaGold’s Haile open pit gold mine in South Carolina is to benefit from the installation of a Glencore Technology M10,000 IsaMill for ultrafine grinding. DFP’s latest Mining and Resources Job Index shows the industry experienced a 1.3 per cent decrease in job vacancies across the mining and resources sector overall in September. Glencore has announced a restructure of the Hail Creek coal mine in the Bowen Basin, Queensland that will see 430 jobs at the operation slashed. Glencore Technology has introduced a new performance guarantee to underwrite 25 per cent of the capital value of technology installed by clients. World Mental Health Day has seen the successful roll out of a ‘gamified microlearning’ program for miners to combat stigma around mental health. 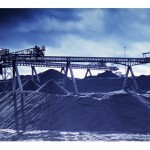 Bis has retained a contract to provide load and haul services for Glencore at the Newlands coal mine in the Bowen Basin, Queensland. Downer was awarded a contract extension by Millmerran Power Partners for its mining services at the Commodore open cut coal mine in South East Queensland.